Priority Shipping $7.85 minimum. Includes Delivery Confirmation. 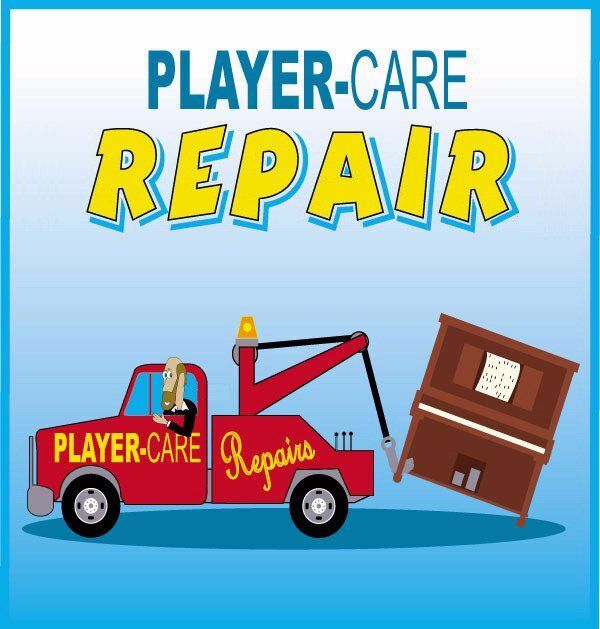 To place an order, Click Here. 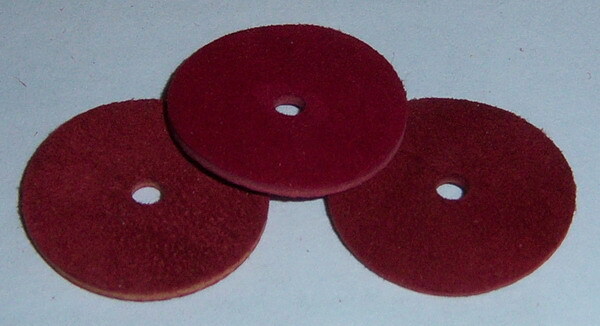 #697 - 9/16" OD, 5/32" ID, 0.030"-0.035" thick, leather (calf) - STANDARD Tracking Device Valve Facing: $0.72 ea. 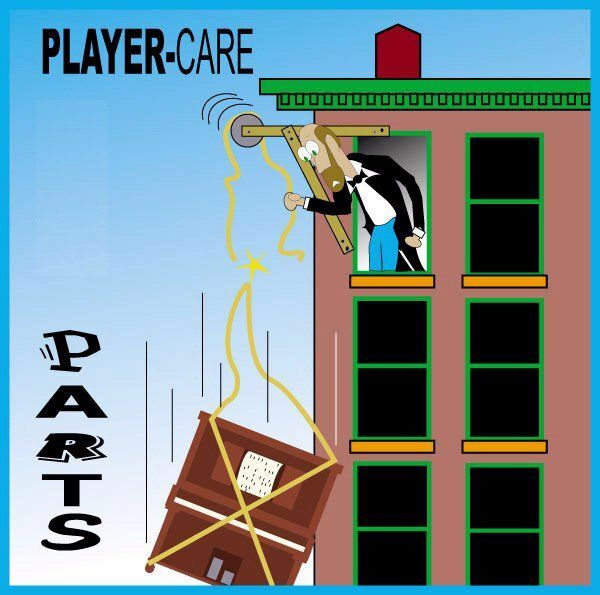 Rear Valve Stem Guide. Stem hole is 0.095". Screw hole is 0.100". Overall length is 0.945" and width is 0.282". Thickness is 0.045". Cost is $0.45 each. 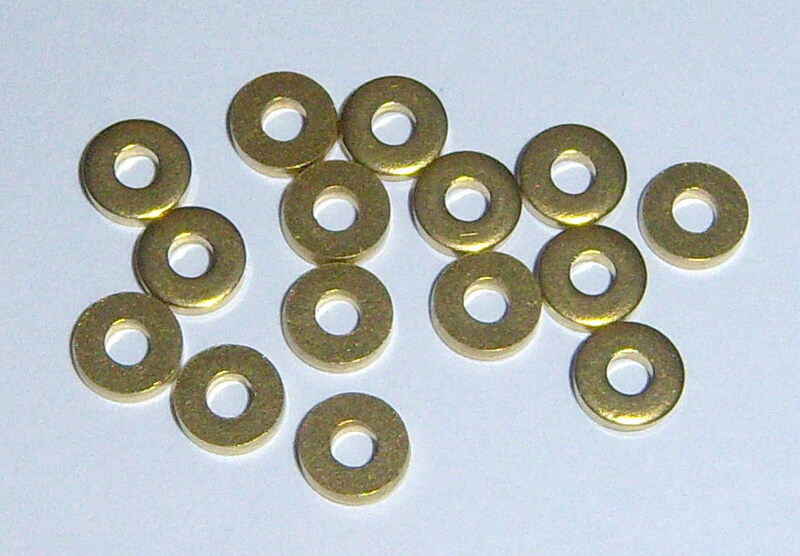 We also sell the small brass screws, used to secure the guide in place, for $22.80/100. We can also have a guide alignment tool custom made for $32.00. 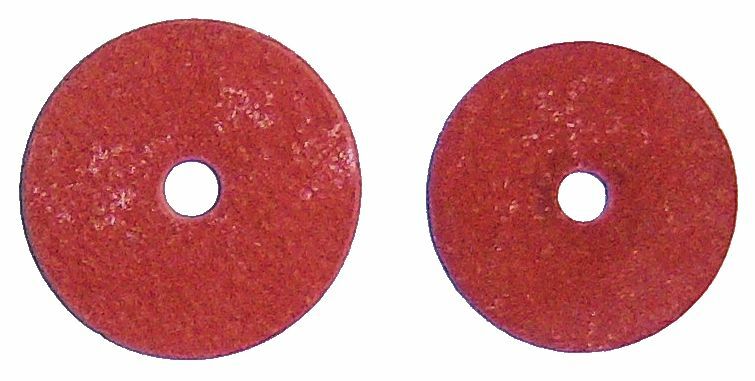 Red Fibre Backing Disks: These are the disks that are commonly found on the exhaust (or atmosphere side) valves of the Standard Double-Valve Action, the Standard Single-Valve Action, and other actions with a metal valve stem. 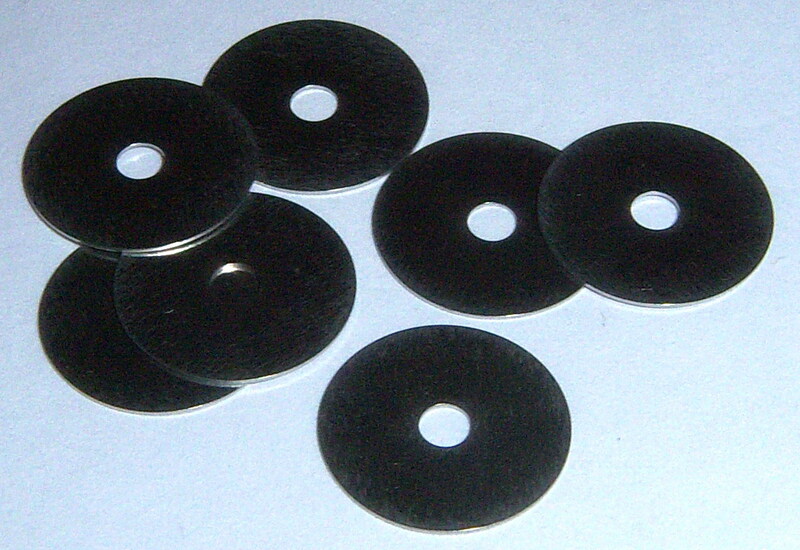 Diameter of the larger disk is 3/4", with a 0.120" center hole. 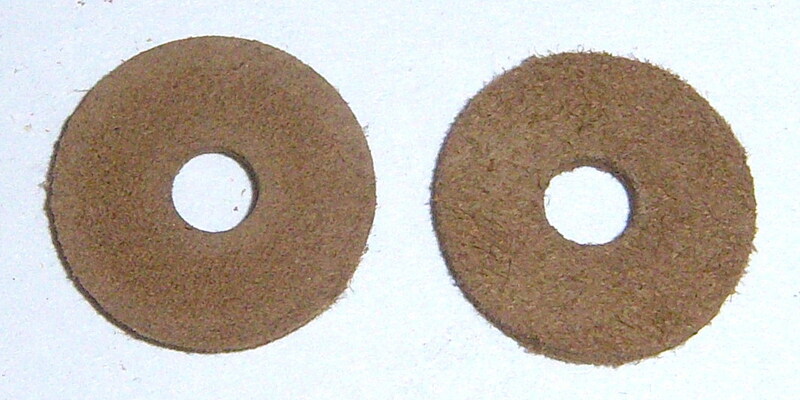 Diameter of the smaller disk is 11/16", with a 0.110" center hole. Thickness of the red fibre material is 0.046". Cost is $0.55 each or $42.00/90.